As of Thursday, January 18th 2018, The Pokémon Company International declared 2018 to be the “Year of the Legendary Pokémon”. This means that there will be various distributions of legendary Pokémon throughout the year. The Pokémon that get distributed aren't mythical Pokémon, but luckily 2017 was the 20th anniversary. In celebrating the occasion, they distributed mythical Pokémon throughout the year. This year they chose for a similar scheme, but the legendary Pokémon you receive depends on your game. (e.g. Ultra Sun or Ultra Moon) Additionally, this marks the first time that Shiny Zygarde is being officially recognized by TPCi, and to be slated for release in June. Some of them come with a gold bottle cap. They are at least level 60, and know "awesome moves", according to TPCi. Just hope "awesome moves" means some event-exclusive thing and not just their signature + 3 (good) moves we could teach them in-game. Imagine it's just "celebrate", you know, to celebrate the year of legendary Pokemon. But they wouldn't list Celebrate as an "awesome" move, right? ...Okay, better not to get my hopes too high. We really don't know what they'll do. the upcoming Dialga and Palkia would be a nice indicator. So they get nothing special in the end. SM ones get the movesets they have when encountered in the wild in USUM, whereas the USUM ones have Draco Meteor instead of their sigs, just in case you wanna have it but are too lazy to increase a Lv. 100 Mon's friendship in order to teach it yourself. Kinda underwhelming, if you ask me. Even Celebrate would have done to an extent, as it is somewhat useful when used as a Z move. 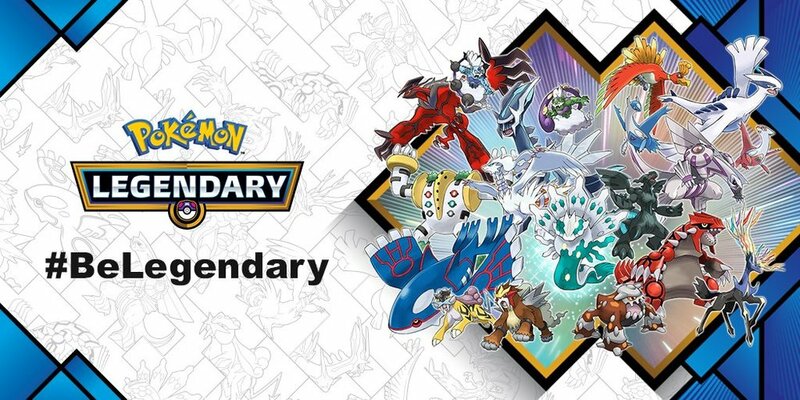 I mean that's nice and all but they're basically handing out all the legendaries in the games anyway, it's not like any of these are rare or anything except for shiny Zygarde. Maybe the legendaries are the opposite of your game. That would seem logical at the very least. It also reminds me of 2012's Reshiram & Zekrom distribution. Maybe it are the legendaries opposite of your game. That would seem logical at the very least. It also reminds me of 2012's Reshiram & Zekrom distribution. The Palkia/Dialga distribution suggests that this'll be the case. I might do a giveaway for the codes. Maybe we just teach them the right moves if they get the right Natures. Well, of course, but that's not why I'm disappointed. Some of us were expecting these event Mons to have moves that we couldn't teach'em in-game, such as...Idk, do you know about the TRU Arceus? that one from gen 4 with the Creation Trio's signature moves? These were event-exclusive moves, no other Arceus can legitimately have'em. 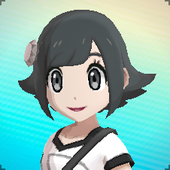 But the legendaries being given away this years don't have anything special -- they're no different from the ones we could catch in-game, except for being in Cherish Balls and having a fancy ribbon. Which legendary, and which mythical, is your favorite? Anyone know what happened with Legendaries in March? Could you be a bit more specific? Regarding people in the US not receiving their trainer letters? Asking us whether we have the files?